Studio Blog: Storage Ideas for A Clutter-Free Home! Stressed out and struggling for storage? Dreaming of a tidy home where everything has its place? Check out our top tips for clearing the clutter and organising your home. It might sound obvious, but we often hold on to a surprising number of things we no longer need. Unless an item has a great amount of emotional value, the twelve-month rule is the way to go. If it hasn’t been used or worn in the last 12 months, the chances are you don’t need it. Once you’ve dropped off a few bags at the charity shop, it will be much easier to organise the stuff you do use on a regular basis. Most of us aren’t wearing thick woolly jumpers in August or sandals in December, but that doesn’t stop them cluttering up the house for half the year. 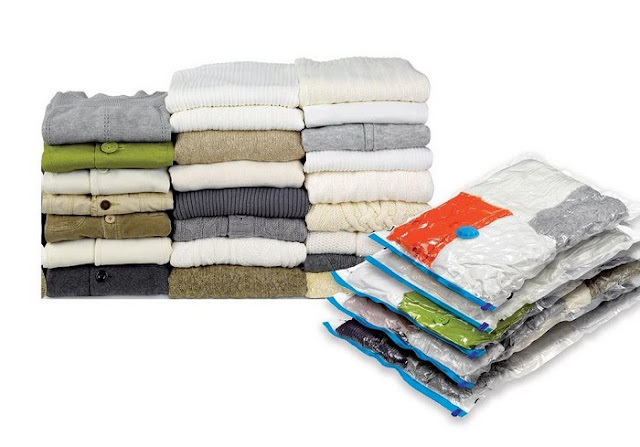 Vacuum storage bags are a great space-saving solution for seasonal clothes and other home textiles. If you’re short on space, finding clever storage solutions can be key to de-cluttering and organising your space. 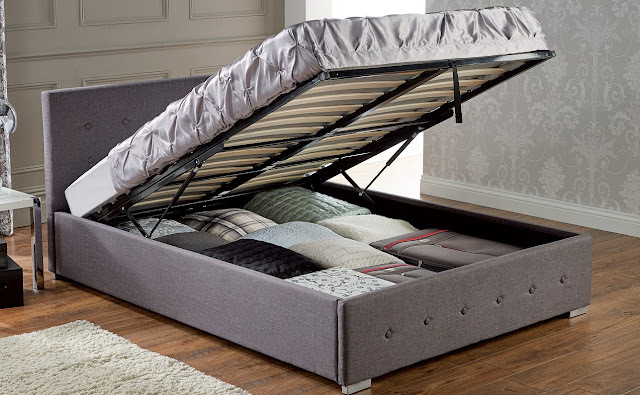 A storage bed is an efficient way of freeing up some extra space for spare bedding, textiles and clothes within unused floor space. 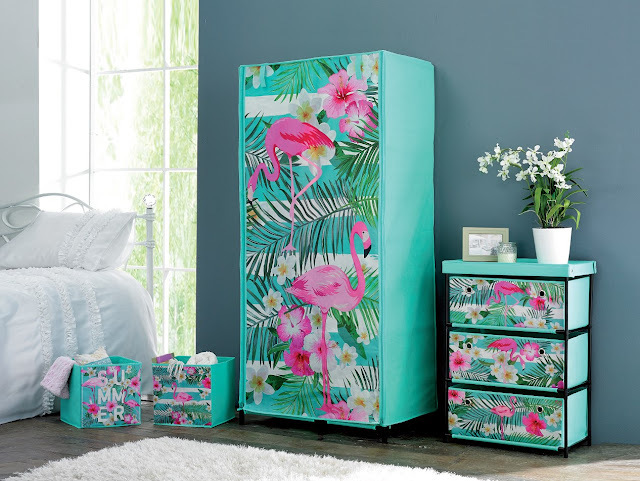 Storage doesn’t have to be boring - there are plenty of great storage options that are stylish and practical. 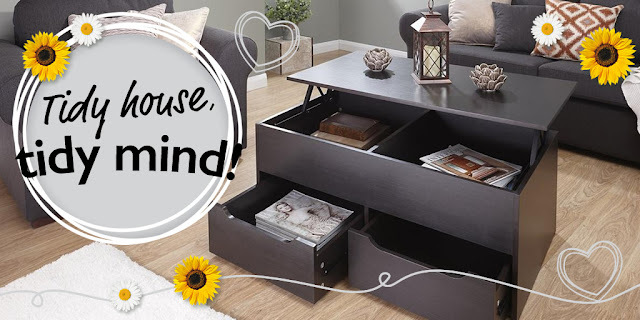 If you’re storing items in view, pick some on trend storage that adds to the look of your home. Your bathroom is usually one of the worst offenders for clutter and general untidiness. From half-used shampoo bottles, toothbrushes, and beauty products, it can feel like a battle to maintain a tidy space. 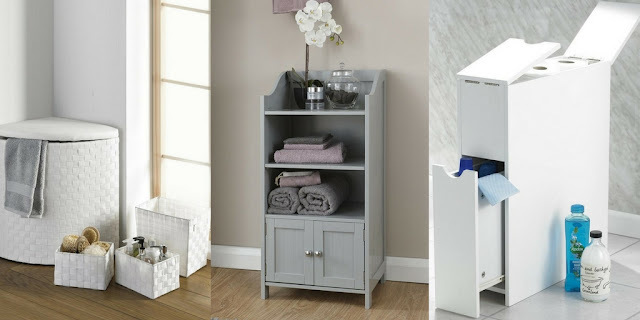 Choose a storage solution that works for you; from wall cabinets, stand-alone units and gorgeous woven baskets, we have a great range of bathroom storage solutions to suit every taste and budget. Getting kids to tidy away after themselves can be a challenge, but you can make it more fun with some cool character storage. 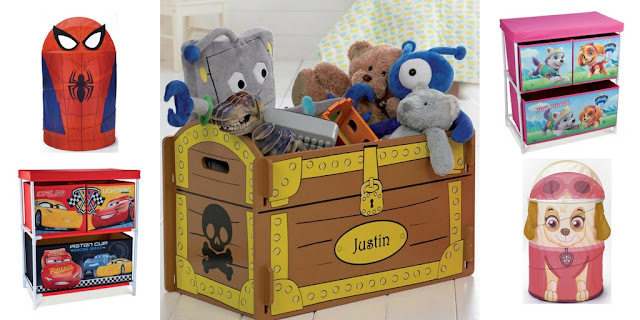 From pop-up baskets, to drawers and toy boxes, we have a great range of kid’s storage.